In our home normally ripen mango is eaten with rice and dal, yes that's the combination and you should try it's yum, it's same like people eat mango with curd rice. 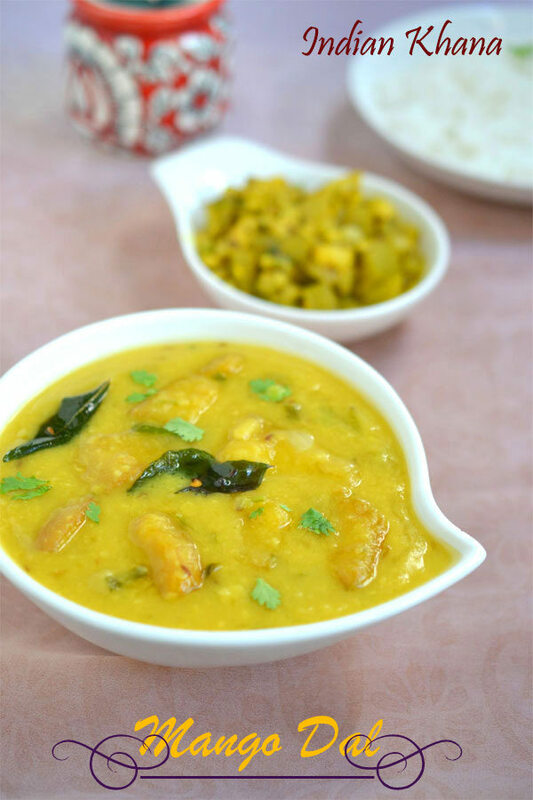 It's a very humble dal recipe, very straight forward with simple ingredients but it taste delicious and it's better to have the dal same day and don't let it sit as ripen mango will start to change color. You can do the same with raw mangoes too in that case cook raw mango for longer time, also you can use moong dal instead of toor dal too. Pair it along rice and any simple side dish it's makes a great comfort food, I made this for our weekend lunch along with Lauki/Dudhi sabzi. You can also check other Mango Recipes - Mango Lassi, Mango Juice, Mango Sago, Mango Delight, Mango Kulfi, Raw Mango Rice, Avakaya (Mango Pickle), Instant Mango Pickle, Mango Sweet Pickle, Mango Tutti Fruit Cake, Aam Ka Achar, Mango and Cucumber Raita. 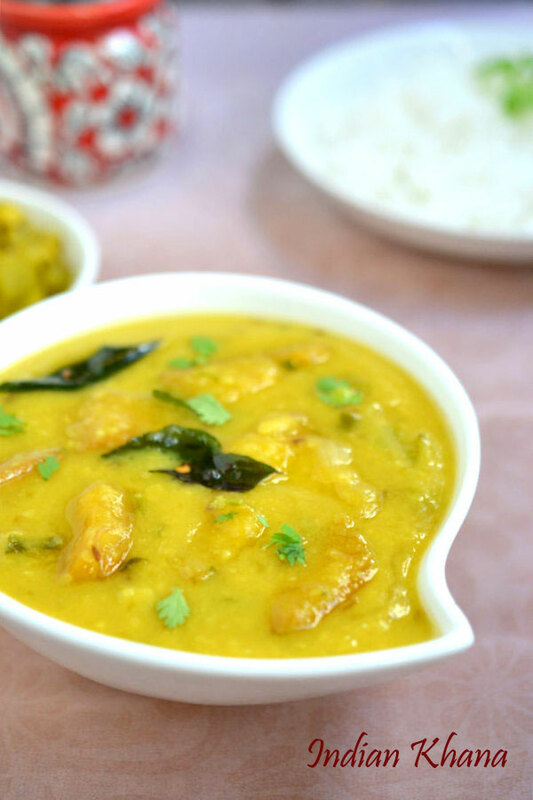 Easy dal made with ripen mango and tempered with spices. Soak dal for 10 mins or 30 mins if you like, meanwhile peel and chop mango in medium size pieces (use mango that is little sour). Peel and chop onion, green chilies, coriander leaves. 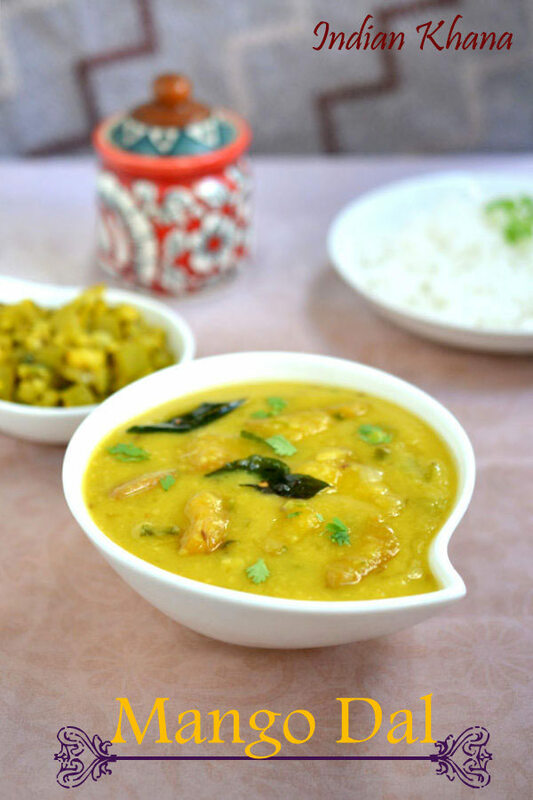 Wash and pressure cook dal with 1 cup water, turmeric powder for 4 whistles. Mash dal and add 1 cup water, mango pieces, salt and bring it to boil, keep in slow flame and simmer while we prepare tempering. 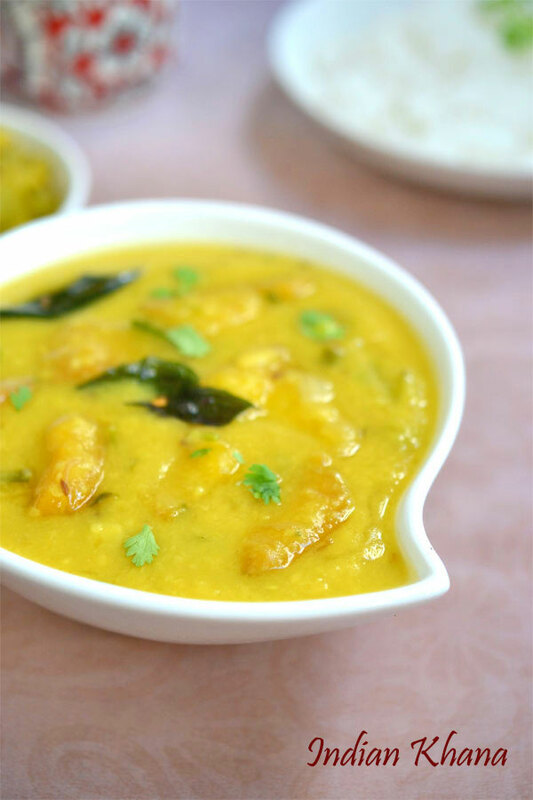 In tadka pan or small pan heat oil or ghee add asafoetida, cumin seeds and allow to splutter. Add garlic and saute until light brown, add green chili, onion, curry leaves and cook until onion becomes light brown. Pour this over dal and give a quick mix, add coriander leaves and simmer for 2 mins, off flame.. Serve hot or warm with steamed rice and any side dish of choice. We had it with simple lauki/dudhi/bottlegourd sabzi. If you have sour ripen mango then this is best recipe to use. You can do the same with raw mango, in this case cook mango for longer.. If you wish add 1 chopped tomato after onion gets brown and cook until mashed for tangy flavor. 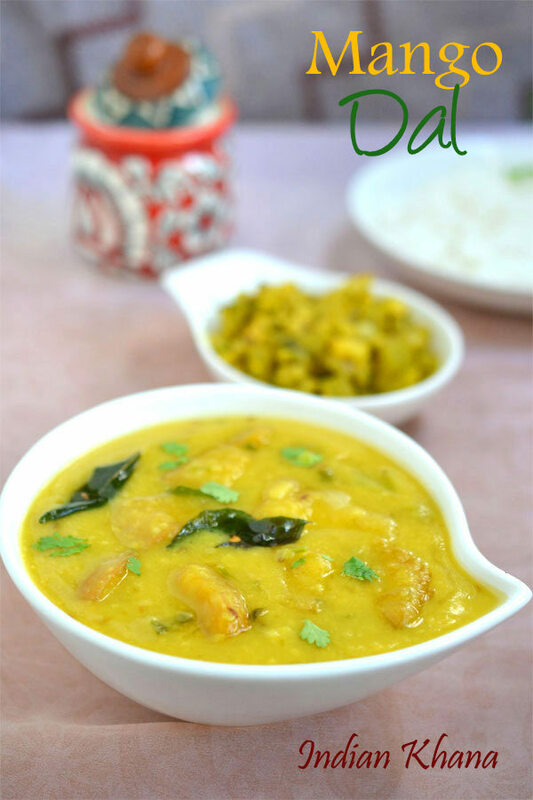 Easy, simple and delicious mango dal.